Now that my computer is up and running again (HOORAY! 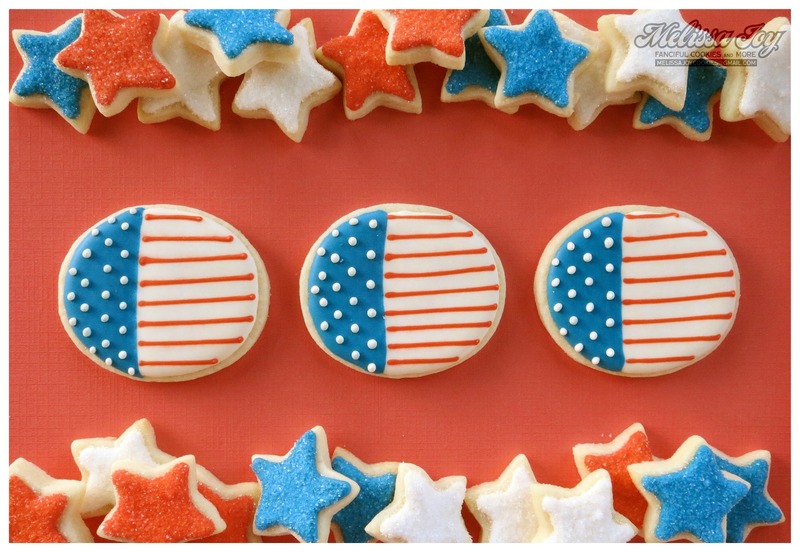 ), I was able to retrieve a few more patriotic cookie pictures to share for the upcoming weekend. 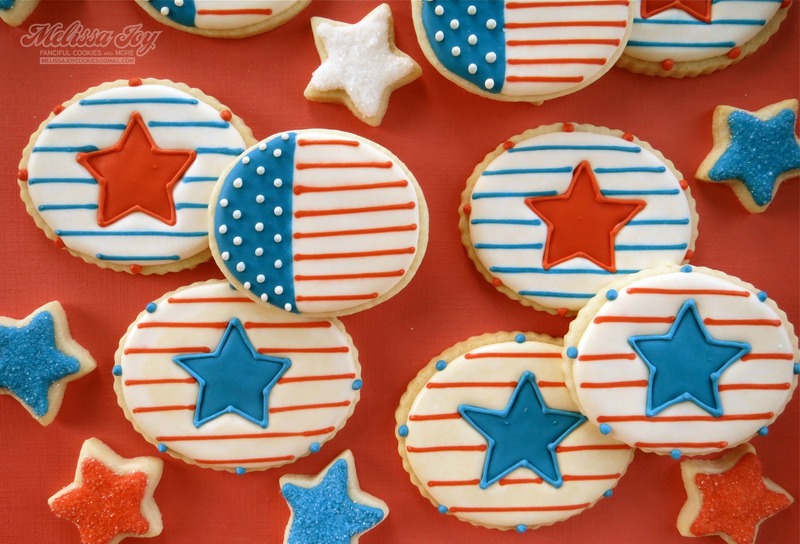 It’s easy to get into the red, white and blue scheme this time of year, and I didn’t want to make a typical flag or star cookie, so I changed up the shape a bit. 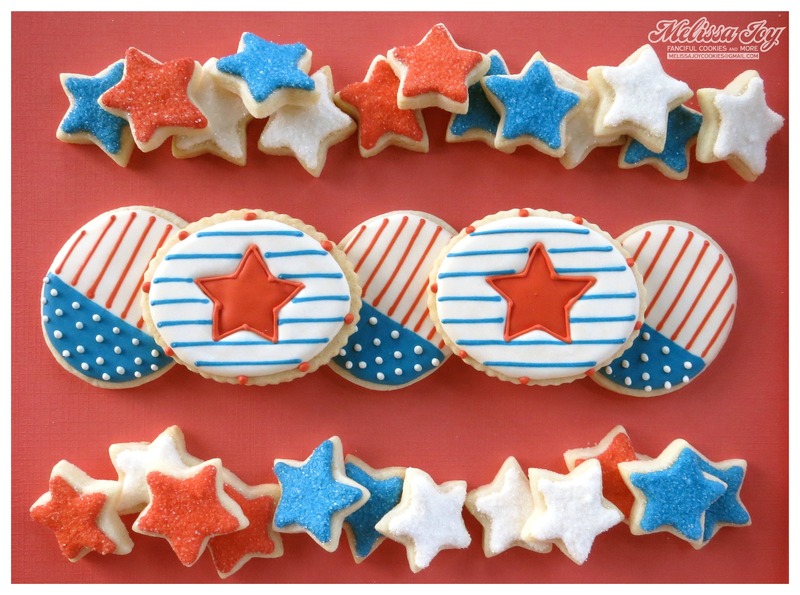 Sometimes it’s a challenge to create something different for the 4th of July, but that goes for designing cookies for most of the holidays. My exception would be mini stars. I love the mini stars. 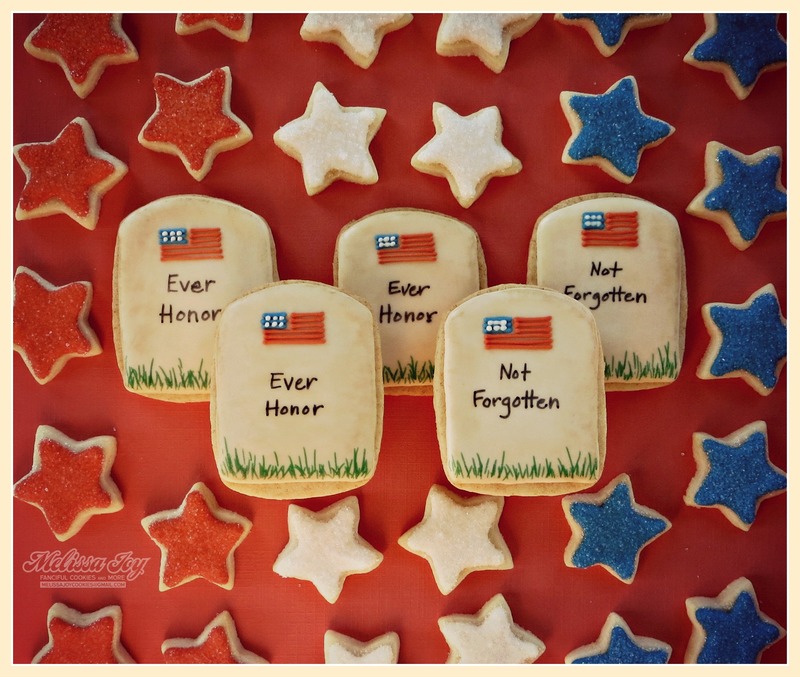 Since today marks the 150th anniversary of the battle at Gettysburg, I thought I would post this tribute cookie as well, which I originally made for Memorial Day. And we just watched Spielburg’s Lincoln. And the kids and I listened to the audio book of Abe Lincoln At Last recently. We are all about the Civil War over here it seems. Enjoy your long weekend, American friends. May your grill be hot, your sparklers be bright, and your hearts be full. 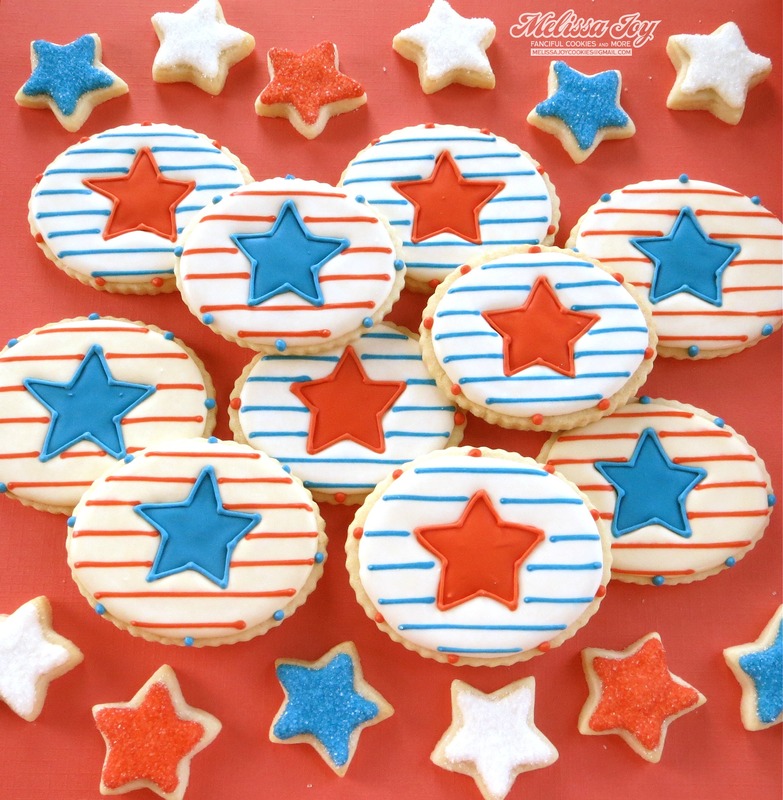 This entry was posted in For Fun Cookies, Fourth of July Cookies, Giving Thanks Cookies, Holiday Cookies, Summer Cookies and tagged 4th of july cookies, abe lincoln, civil war, flag cookies, star cookies, stars and stripes, veterans, veterans day. Bookmark the permalink.